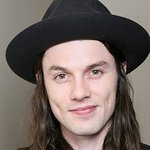 Sport Relief has announced that James Bay, winner of best British Male Solo Artist at this year’s Brit Awards, is releasing a very special version of his track ‘Running’ as the official Sport Relief 2016 single, available to download on iTunes now. The original song is from the deluxe edition of James’ Double Platinum, number one debut album, Chaos and the Calm, and this new version has been re-recorded live from the world famous Abbey Road Studios to raise money for Sport Relief. The track is available to download on iTunes from today. The video for the single was filmed during James’ live recording at Abbey Road Studios and is available to watch now on Vevo. 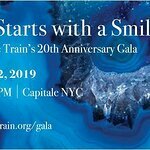 James Bay is also planning a special live performance of the track which will be shown as part of the Sport Relief Night of TV on Friday 18th March on BBC One. James recorded the track in Abbey Road Studios last month. The single is produced and written by James Bay.